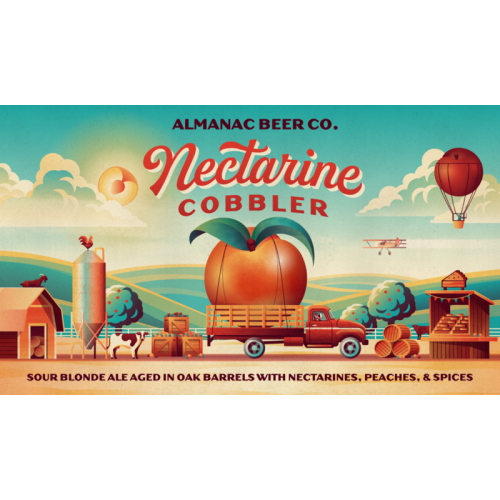 Nectarine Cobbler is our version of dessert in a glass. We started with yellow nectarines from Blossom Bluff Orchards, grown in high-summer along the banks of King’s River in California’s Central Valley. Four pounds of juicy stone fruit was added to each gallon of sour blonde ale and aged in oak barrels. We spiced the blend with cinnamon, ginger, coriander, and vanilla bean to recall the aroma of a freshly baked nectarine cobbler resting on the windowsill.